So here’s my thought. 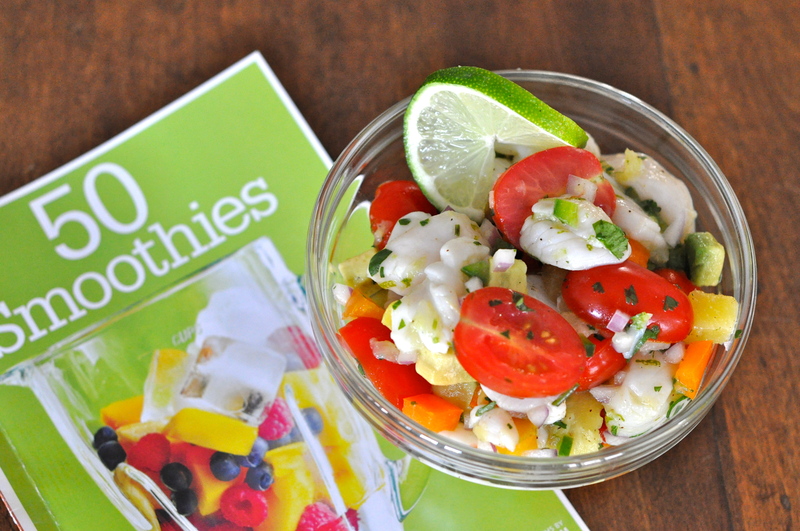 I would love to do a pull-out book featuring my favorite fresh and tasty dish – ceviche! 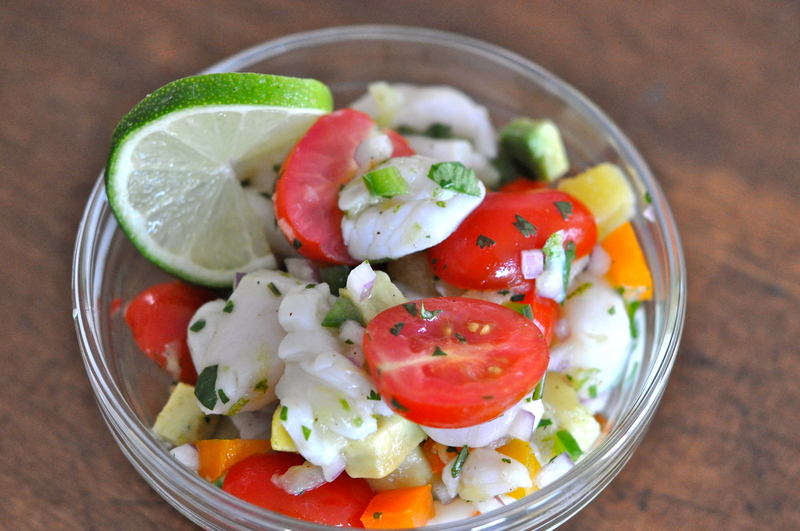 Ceviche is a popular Latin American dish typically made by marinating raw fish in citrus juice. The acid in the citrus juice actually cooks the raw fish – how cool is that? 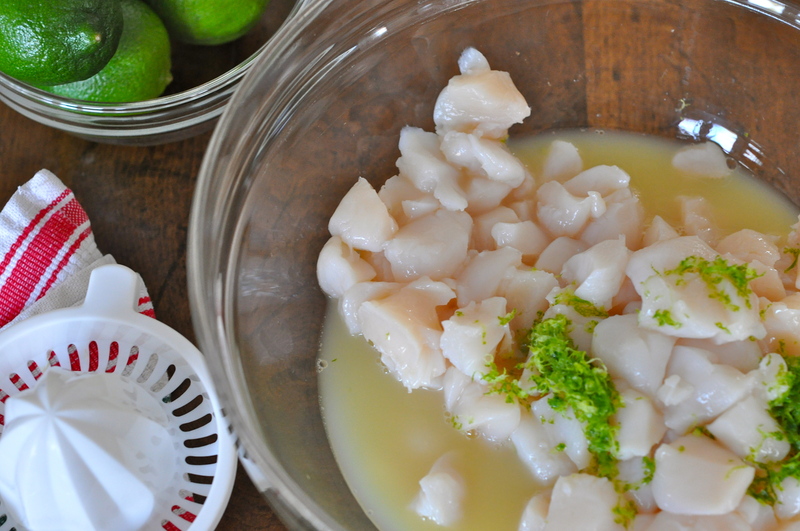 Other than raw fish (you can use scallops, shrimp or any other firm white fish such as tilapia or halibut) and acidic citrus juice, the sky is the limit for what ingredients you can incorporate into the ceviche. Coming up with 50 different variations would not be hard at all. It’s also so easy to make, basically a bunch of chopping. Since the ingredients in this dish don’t have anything to hide behind, be sure to use the freshest, tastiest fish and produce possible. Cut the scallop into quarters. I am preparing my ceviche today as a side dish to eat with a fork. 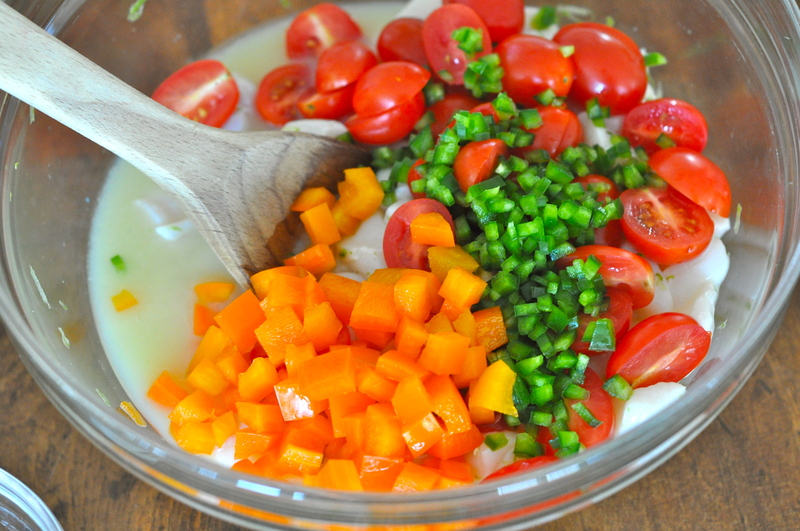 I also use the ceviche often as a fresh dip and scoop it up with tortilla chips. I cut up the scallops smaller into eighths when making a dip. Juice the lemons and limes and zest the lime. 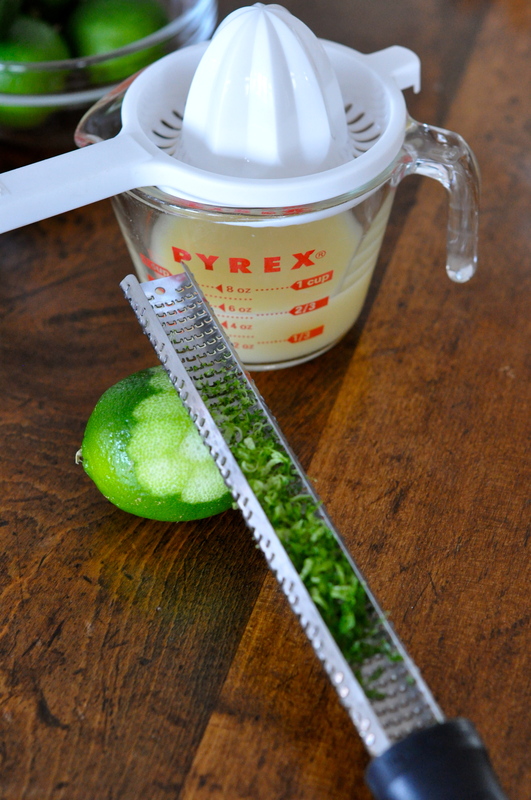 I zested the lime with my favorite kitchen tool, a micro plane grater. Fresh citrus zest adds such a zip to this dish. I got my my micro plane grater at Williams and Sonoma. 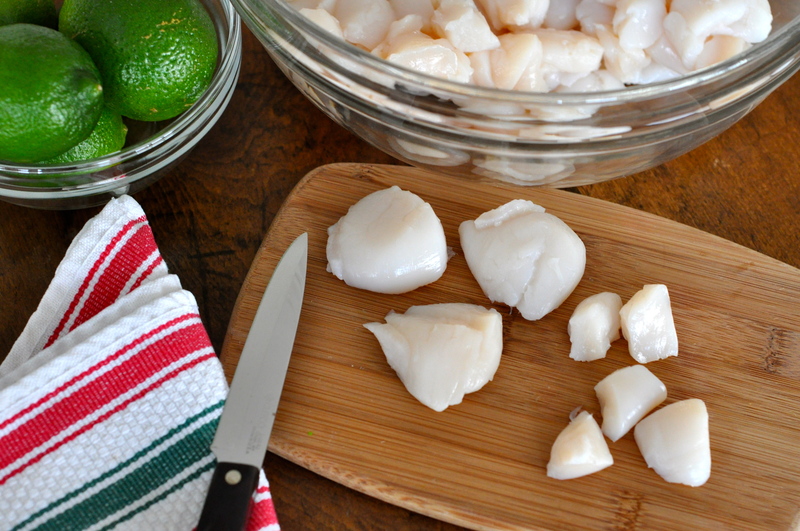 Add the juice and zest to the scallops. pineapple, red onion, cilantro and avocado. Stir and wait until the acid cooks the fish. It will only take a few minutes depending on how big your fish chunks are. This is best if eaten fresh, but cover tightly and refrigerate if you are making it in advance. Where was I when you made this? 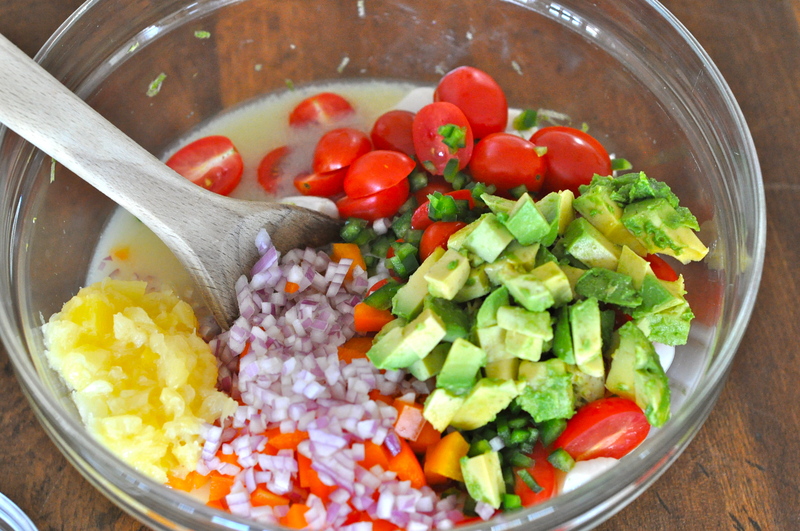 You know how much I love, love, love ceviche. Remember our great ceviche we made at JoEll’s we used shrimp instead and even added peaches. I will try the scallops soon. Great idea. I’m doing mangos next time! I just spent a week in Florida, enjoying seafood to my little heart’s content. I thought I had sated any and all cravings. And then I read this. Curse you. No…love you. Aw, shoot…now I’m all conflicted.